BASKETBALL TOURNAMENT A group of Grade 6 students will be attending a basketball tournament on Friday, April 13th at D’Arcy McGee High School. ART GALLERY FIELD TRIPS Yesterday, April 4th both Grade 1 classes visited the National Art Gallery. 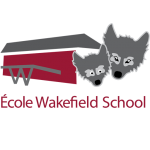 Our Grade 2 classes will be attending today, April 5th. March 30th & April 2nd the school and daycare are closed for the Easter holiday. March 29th is a Spirit day- wear your beach gear! There will be an assembly in the afternoon. On March 28th and 29th, the group “Rocks & Rings” is coming to work with all classes to teach the basics of curling.